Smartphone Fanatics: Studio Execs: Are You Sure Apple Doesn't Have It Right? I Think They Do. Studio Execs: Are You Sure Apple Doesn't Have It Right? I Think They Do. 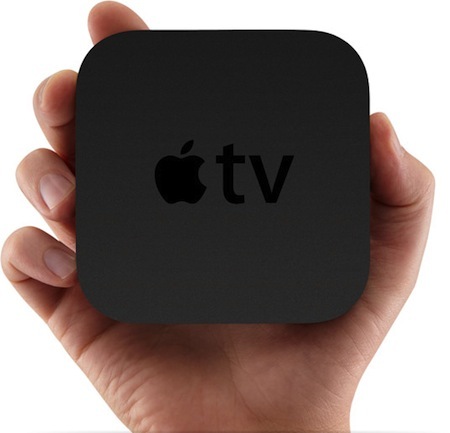 Earlier this month, Apple introduced the second generation Apple TV. 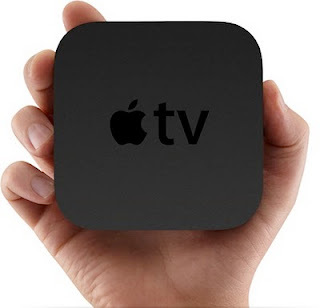 At about a quarter of the size of the first generation model, the new Apple TV emphasizes steaming content over having to sync and manage content from iTunes running on your Mac or Windows PC. Along side the introduction of the new Apple TV, Steve Jobs introduced a new 99 cent TV show rental model. The idea that you would rent your favorite TV shows and movies rather than watching them on TV (does any one actually watch TV shows when they "air" anymore? ), your DVR (I honestly don't have a DVR), or a DVD from your local BlockBuster, library, etc. We're all entitled to our opinions. When I look around at some of the shows that are on TV today, I'm hard pressed to see the "value" in a lot of whats on. I absolutely refuse to watch a so called reality TV show; regardless of whether it's American Idol, Survivor, Kate Plus 8, Jersey Shore...the list goes on, and on, regrettably. I do like watching scripted dramas, but I tend to watch more and more TV on my MacBook. But I degrees. I think that the 99 cent price point does makes sense. Depending on what show, and whether it's standard def or high def, to purchase a show, it will cost you $1.99 - $2.99 an episode. If the rental price is low enough, I'm more inclined to "impulse rent." If I have to think about whether or not to rent the show, I'll start thinking about the various options: the studio's own website, Hulu, Netflix, a local library, or an app on my iPad or mobile phone. I can also go rent a DVD for about $5.00 which will include four episodes. The definition of "value" aside, I still think that the studios stand to make some money from Apple's 99 cent plan. There are free TV options out there, but I'm willing to pay a fee to watch TV on my Mac or Apple TV if I'm getting entertainment value, as well as an ease of use or convenience value out of it. Sure, 99 cents sounds reasonable for a 22-45 minute TV show. I like the 99 cent price for TV episodes. I like it better with Amazon Video-on-Demand (on Roku) which sells me the episodes for 99 cents instead of renting them. We've started watching some 99 cent shows on Amazon that aren't available on Netflix. But only some Amazon shows are 99 cents. Many are still 1.99 for SD and 2.99 for HD.